5 Steps to Eliminate Stress from Your Life. Stress is a gift of modern times. The desire to achieve more and enjoy all the material happiness is causing a lot of physical and mental stress. The consequences are evident. Stress has a direct impact on brain, because emotions, thoughts, anxiety and dreams are generated from the brain. When the brain has to work beyond its capacity, its leads to mental stress. In this condition hormones and nervous system play a major role. We need to understand that we can reduce the stress level and lead a healthy and contented life. When we are under stress the hormones secrete in excess and irregular manner and we fall in the trap of diseases. While there is an undeniable link between stress and illness, optimal stress is a prerequisite for success in every task. Stress in small but continuos portion pushes you towards achievement. If stress can trigger off psychosomatic ailments in those living in the fast track, it can be a trigger even to those who suffer from monotony, boredom or frustration. It is therefore very essential to bring a balance between too much and too little stress. Develop a stress-free personality. 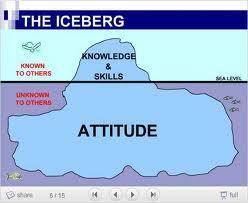 A high self-respect, positive behavior and a positive attitude help in building a stress-free perception. 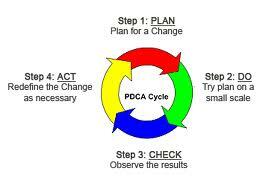 It also helps to focus on areas where control and change are possible. Find the origin of stress and use a problem solving approach to deal with it step by step. All stress you can understand. Some you can change. Some you may have little control over. 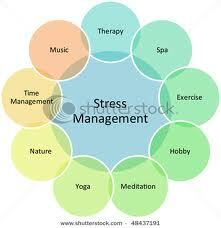 You may then need to change your attitude and response towards these stressors. Thereby reducing stress. Any exercise program done regularly utilizes the body’s stress hormones. Physical work out not only makes the body fit, but also changes the heart and lungs to increased activity, as in stressful situations. Relaxation ( SHAVASANA ) and meditation techniques result in calming brain waves, and reducing the effects of stress. This is especially effective with stress related ailments such as Hypertension, Headaches, Digestive ailments, Cardiac ailments, Sleep problems to name just a few. Stress may be an irritant in your life or it may be a factor of passive existence. Change of perspective will help change this stress to an active, rewarding life. One of the best gifts of nature is sleep. Between 6 to 8 hours Sleep helps in relaxation and repair of the body and mind. It provides enough time for deep – NREM and dream REM sleep bringing physical and mental health. Here under find some of these solutions & level your stress. A) Good amount of time for family will give you a retreat called home. B) For secure future start working for your career well; it will give you challenge, satisfaction & security. C) A positive outlook gives satisfation to self & others. Learn this skill. D)Exchanging ideas in all direction is the key to relationship building. Listen in a better way and your stress will slowly dissolve. E) Always find reasons to get a sense of humor for nearly all situations in life. Learn to laugh at life, its paradoxes and at most importantly on yourself. F) Plan a little idleness & quietness each day to recharge. G) Physical activity is arousal and relaxation is the opposite. Yet both are essential on a daily basis. Practice both. H) Sleep well and you will have renewed energy to face the next day’s Stresses. * Plan your time well. You only have 24 hours a day and many important areas to fit in. A simple formula for time & stress management. You could personalize it to suit your needs. Remember you can’t delete any activity or reduce time for health factors.